Checks often are abandoned after they are lost or destroyed, returned by the post office as un-deliverable, or because the payee simply forgets to present them for payment. Failure to cash or deposit a check does not terminate your right to the funds and the issuer’s responsibility to pay. This is generally true even if a check specifies a ‘void-after’ date. Checks that are not negotiated over an extended period are considered dormant. If you never received a check you can obtain a replacement. If you did receive a check, but for one reason or another never presented it for payment or deposited it to your bank account, you are still entitled to payment. 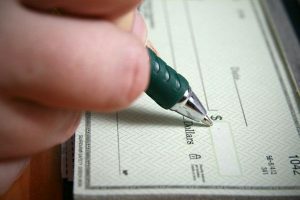 Forgotten checks drawn on banks that have closed does not mean the undeposited check is lost forever; you may still be entitled to collect the funds. To search for an undeposited check and obtain assistance with a refund or replacement check contact us for an appointment.